Saunderson House is pleased to announce that Anna Sharp has qualified as a Fellow of the Personal Finance Society (PFS) which is the professional body for the financial planning community. PFS is part of the Chartered Insurance Institute (CII) Group. This membership level is attained upon successful completion of the PFS Fellowship programme, the highest qualification awarded by the CII. 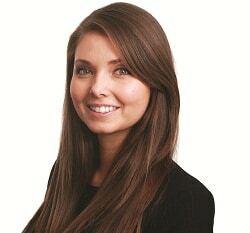 Anna is the youngest female member to have achieved the FPFS designation.